Home Resources How do x-ray detectors work? Other contaminants which work their way into the supply chain can include wood, plastic and other solid non-metallic contaminants – all of which cannot be identified by metal detection. This is where x-ray detection comes into play. A simplified look at how x-ray detection works for food and pharmaceutical applications. Although invisible, x-rays are a form of electromagnetic radiation. 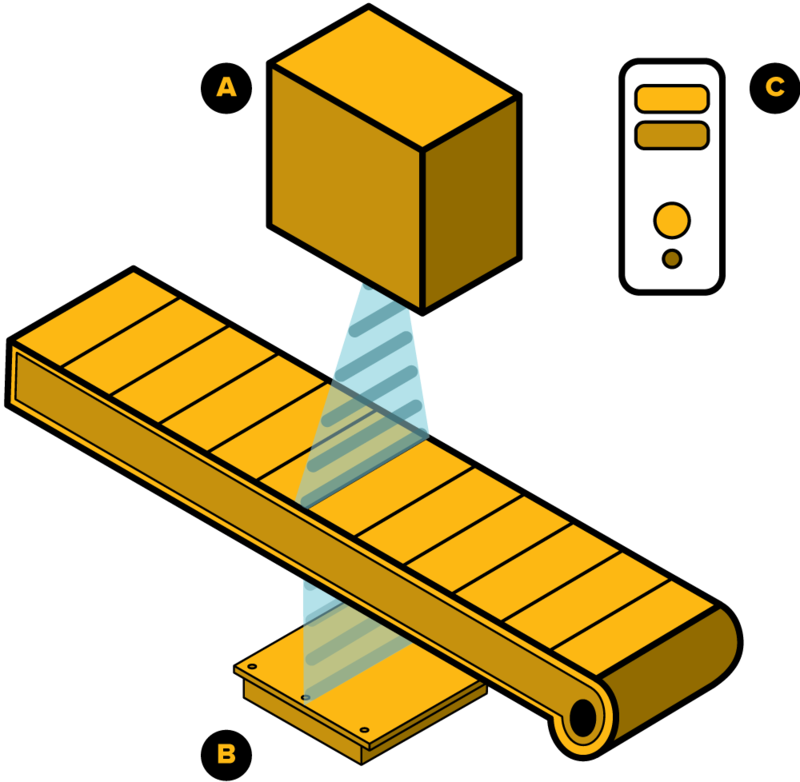 The short wave length means x-ray passes through materials which are opaque to visible light. However x-rays do not pass through all materials – the denser the material, the harder it is for x-ray to penetrate it. Contaminants such as glass or metal absorb more x-rays than the surrounding product and therefore show up under x-ray inspection. X-ray detection acts as a scanner, identifying contaminants as ‘hot spots’ on the image. Should the preset thresholds be exceeded, the alarm system is activated.